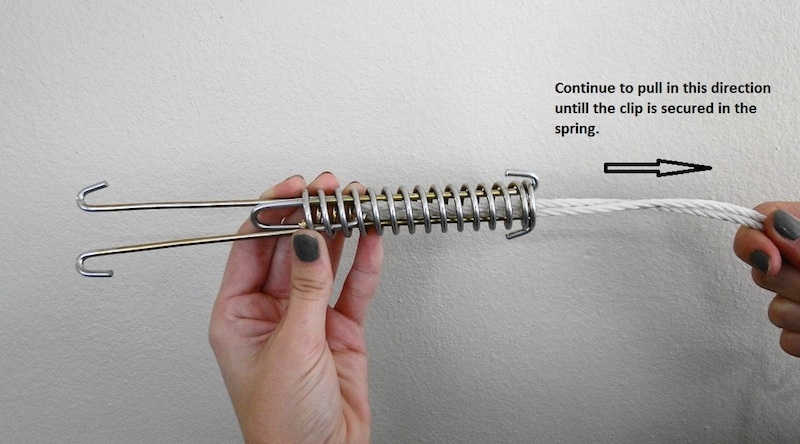 Remove the spring from the peg. 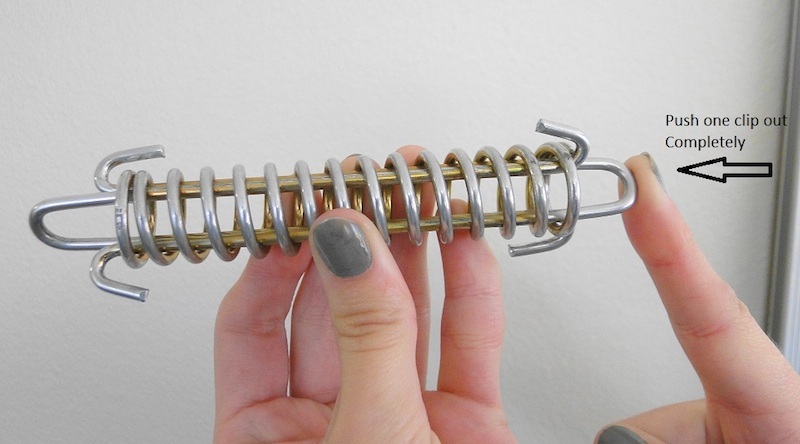 Push one of the hooks out of the spring completely. 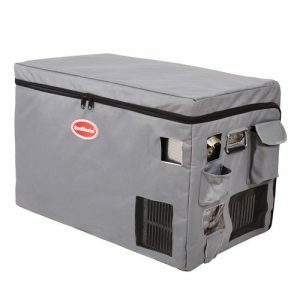 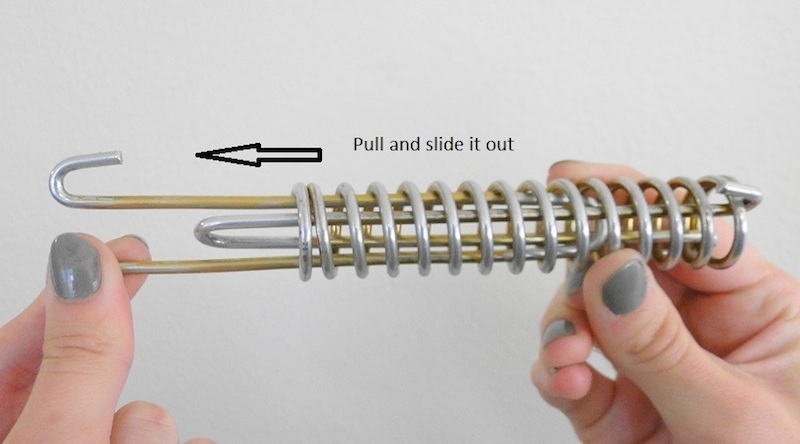 Pull and slide the hook out completely. 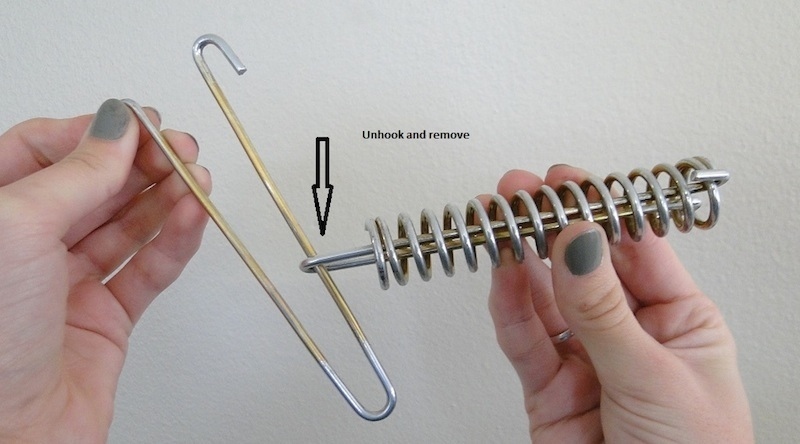 Unhook and remove the clip completely and set the clip aside. 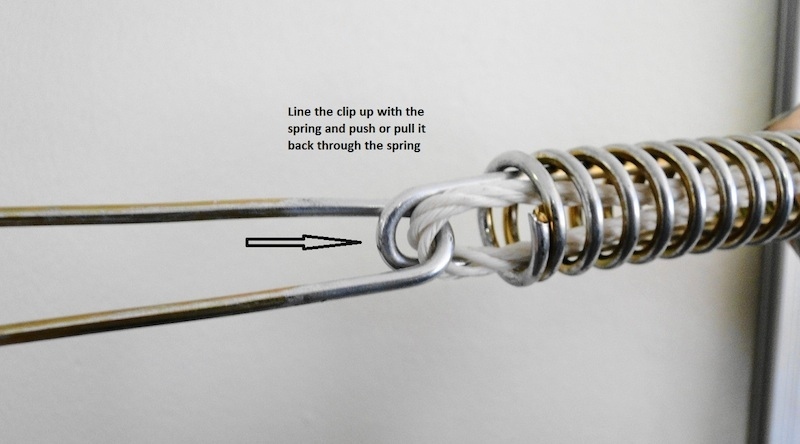 Push the loop of your rope through the open side of the spring, until the loop lines up with the clip that is still in the spring. 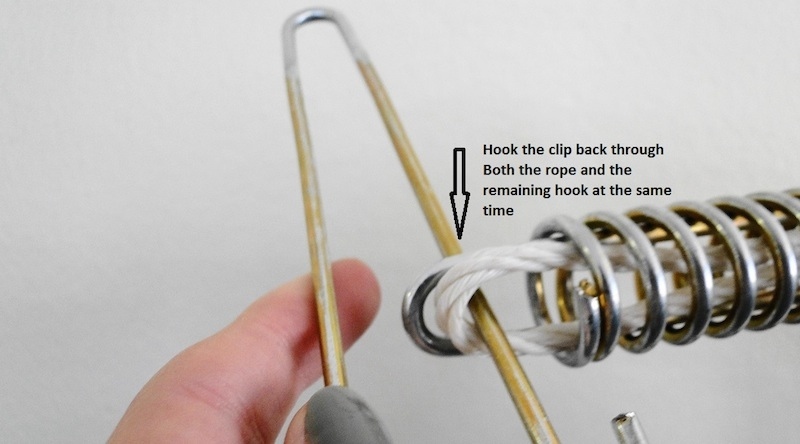 Hook the clip that you set aside through both the rope loop and the clip simultaneously. 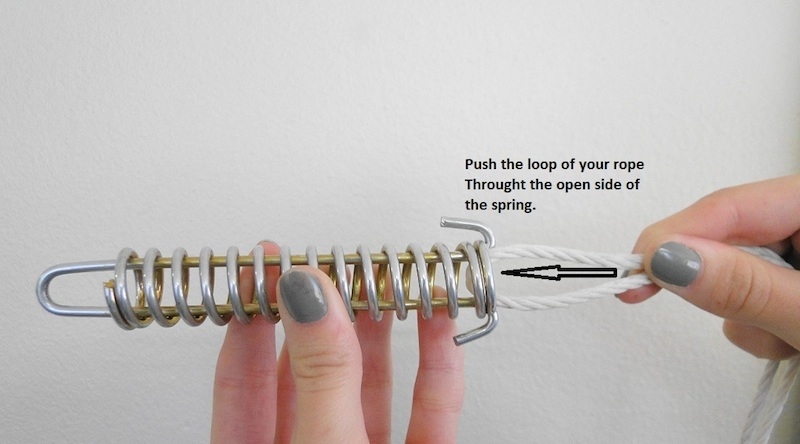 Line the loose clip up with the spring and push or pull it back through the spring, using the rope. 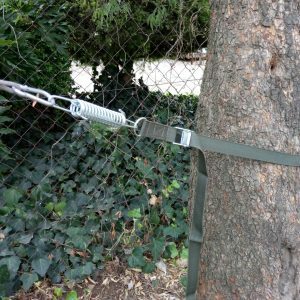 Continue to pull in this direction until the clip is secured in the spring. 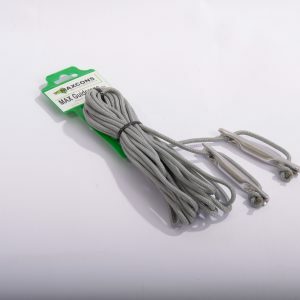 Now you can hook the spring onto the peg and tighten your guide rope.